The article lists most valuable photostreams created by institutions participating in The Commons project by Flickr. 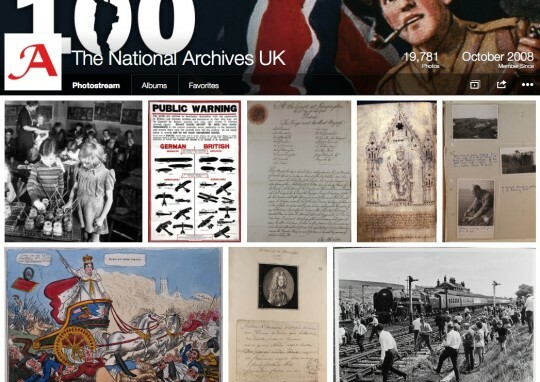 If you are looking for historical images, the ones from old books, or museum archives, you’ll be surprised to find lots of them on Flickr, one of the most popular image sharing sites. Flickr has more than 90 million registered members worldwide. Between 3 and 4 million new images are uploaded daily. 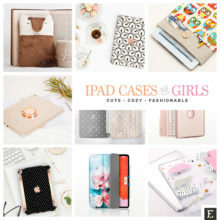 The site, however, doesn’t only host images taken nowadays. Since January 2008, Flickr runs The Commons project, with the goal to increase access to publicly held photo collections. The project’s first partner was The Library of Congress. 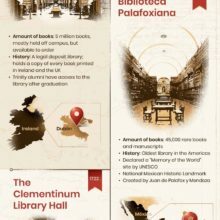 On a list of participating institutions there are also The British Library and The Internet Archive, biggest contributors to the project, so far. Each one offers more than 1 million photos, and counting. 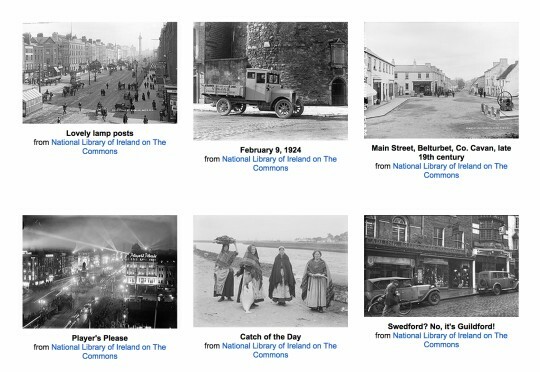 The Commons project includes archive images from almost 90 institutions: libraries, digitization centers, and museums. Your organization can join, too. Register here, provide some background information, and Flickr team will reach you with next steps. The most wonderful thing about The Commons is that each Flickr user can contribute. When you find a great image in The Library of Congress album, you can help make it easier to find. 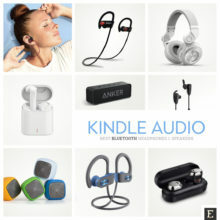 Simply, add a relevant tag, share a comment, favorite the image or add it to one of your collections. Flickr is all about photo discovery. Now you can dig not only into the present, but also the past. Most images from the Flickr Commons do not have any copyright restrictions. 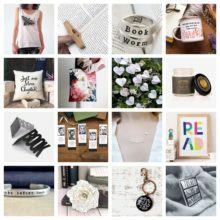 You are free to use them on your blog to illustrate the key message of a post, share in social media, or re-purpose them. Your imagination is the only limit. 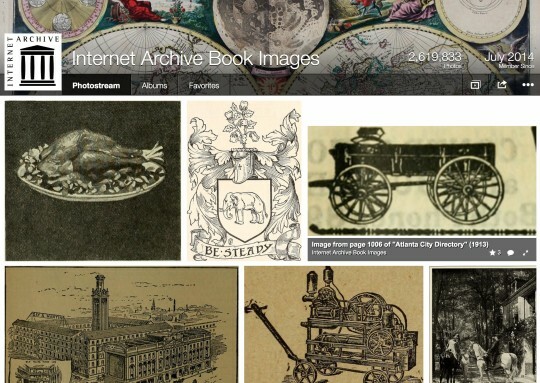 It’s already the biggest resource of free historical images on the internet. 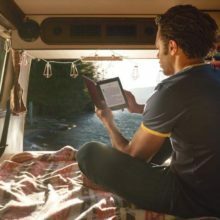 So far 2.6 million photos were added, with a goal to collect over 14 million images from 2 million digitized public domain books. As all images were extracted from scanned books, it was possible to associate them with the corresponding text. 500 words before and after the image will make it easier to further explore the topic. The image page links to other illustrations from the same book, as well as an online book viewer on the Internet Archive. 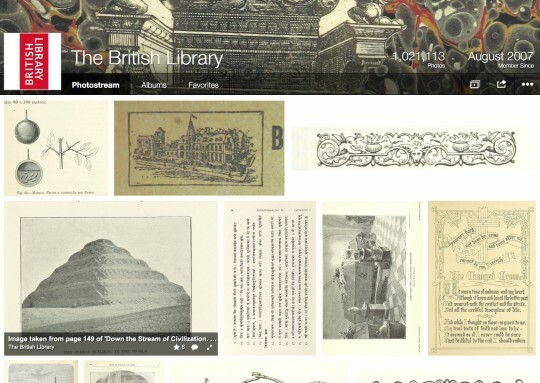 The collection from The British Library contains over 1 million images, and it’s especially worth exploring. 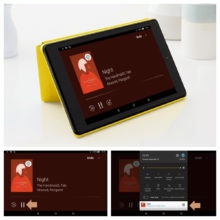 Albums look like they were made to fit the needs of the modern-day online user. You’ll find here thought-provoking images from children’s books, pictures of advanced machines, or Christmas visual materials. Designers will be delighted to browse vintage design elements, or get inspired by intense book covers from 19th and 20th century. Maps, scanned manuscripts, WWI posters, or beautifully designed business cards. 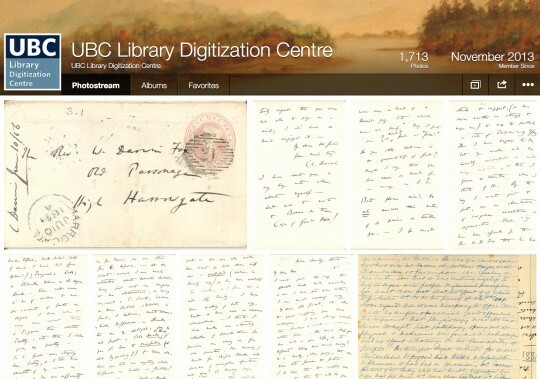 All this you can find on a Flickr Commons profile of the Library Digitization Centre of University of British Columbia. Especially interesting is the set of 154 images – scanned letters written to and by Charles Darwin. 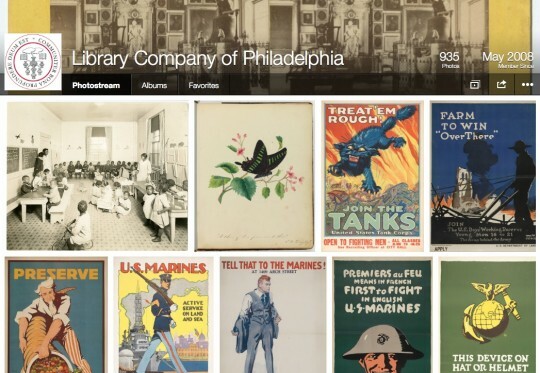 The Library Company of Philadelphia is a research library focused on American culture from the 17th, 18th, and 19th century. When you’ll visit the photostream, you’ll immediately discover a great variety of visual materials from the times of Civil War: recruiting posters, hospitals, and even collecting cards. 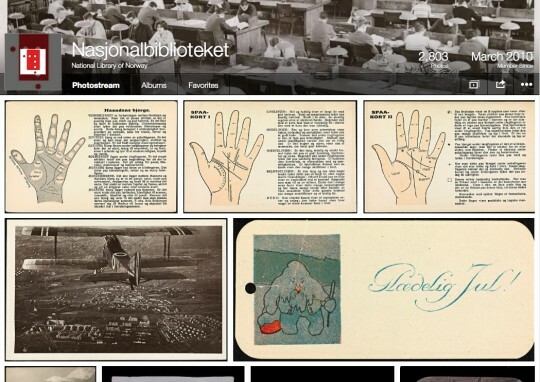 National Library of Norway (Nasjonalbiblioteket) shares almost 3,000 photos on Flickr, grouped in over 130 albums. The descriptions are made in Norwegian, but some of the tags are already in English, what helps to discover these wonderful photos. Pictures from Autochromes album are extremely stylish. They look like being processed by photo-filtering apps (and they are actually their predecessors). Old maps, as well as Valentine’s Day cards will be a great inspiration for every designer. 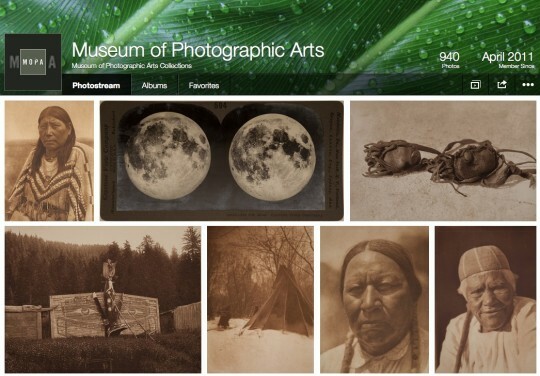 On a Flickr profile of Museum of Photographic Arts from San Diego, you’ll find a variety of pictures, ranging from portraits of people, to machinery, to space photos and documents. 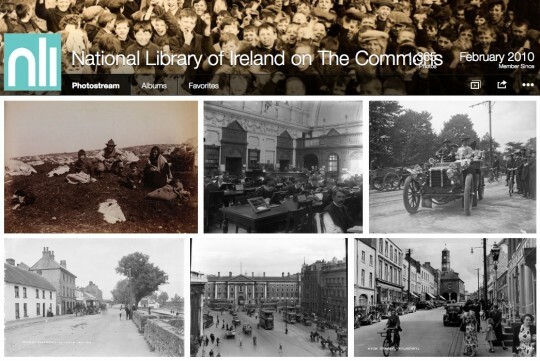 This is not a huge collection (“only” 1,300 photographs), but is presents the most notable images from huge archives of the National Library of Ireland. 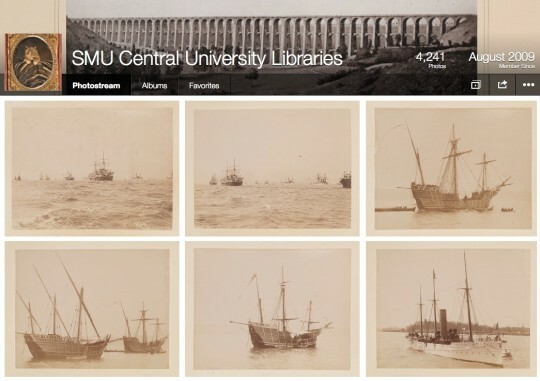 The photostream includes digital collections from the six Central University Libraries. Most images show life in Texas and Mexico over the years, but you can also find here astonishing photos of historical ships, pictures from sports events, or postcards from the beginning of the 20th century. The UK government’s official archive contains over 1,000 years of history. 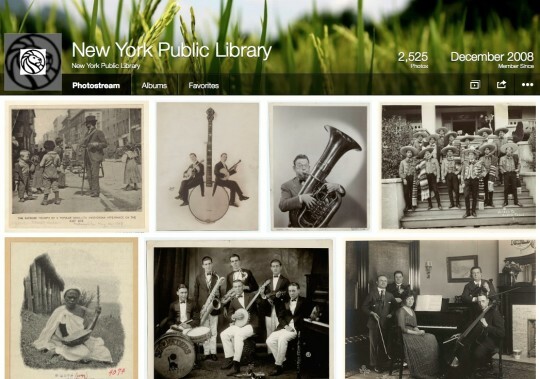 Images selected for Flickr (almost 20,000) give an idea of how versatile the catalog is. Most photosets group vintage images from different parts of the British Empire, as well as other countries around the world. I especially like the Artwork and Illuminations album, highlighting drawings, paintings, cartoons, and posters dating from Middle Ages to World War II. 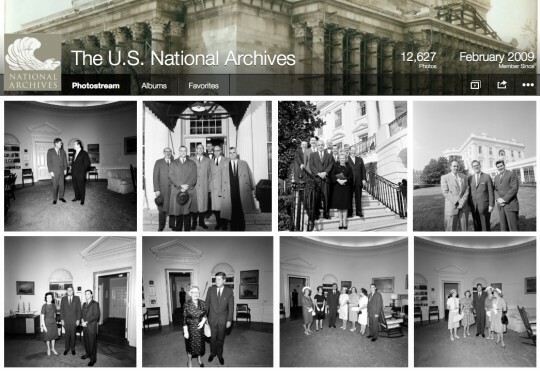 The U.S. National Archives was established in 1934 by President Franklin Roosevelt. The organization is documenting the work of the U.S. government. The photographs – and you’ll see over 12,000 of them on Flickr – were taken by agents of federal agencies over the years. They cover a wide range of subjects: Documerica series, life on the Homefront during World War II, or a series of images about food safety and nutrition. The photostream is very well handled and organized. There are over 30 albums focused on specific topics. Chryslers and Dodge models are here to explore. Do you want to know how The Statue of Liberty was constructed? 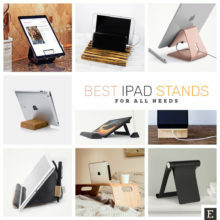 There is a set for that. I love the images documenting how NYPL was working with schools. And Broadway Street Views 1899 set is definitely more exciting than Google Street View. 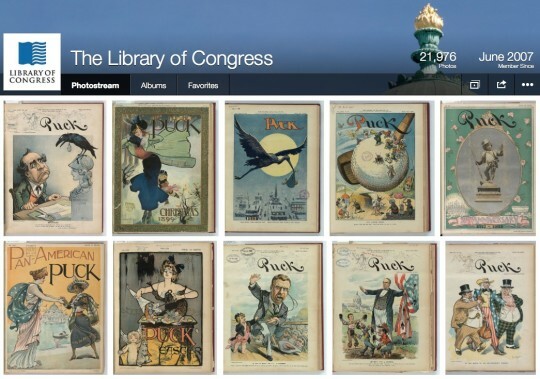 A collection in the Flickr profile of The Library of Congress consists of over 20,000 images. A set with newspaper covers is extremely interesting to explore. You should also see posters from New Deal era, World War I panoramas, and great color travel pictures from around the world. To get more posts like this, you can subscribe by RSS or email. Let’s also connect on Facebook and Twitter.